Now is the time of year when staff, parents and community members get the opportunity to nominate an exceptional DoE employee or volunteer for the Together We Inspire Awards. 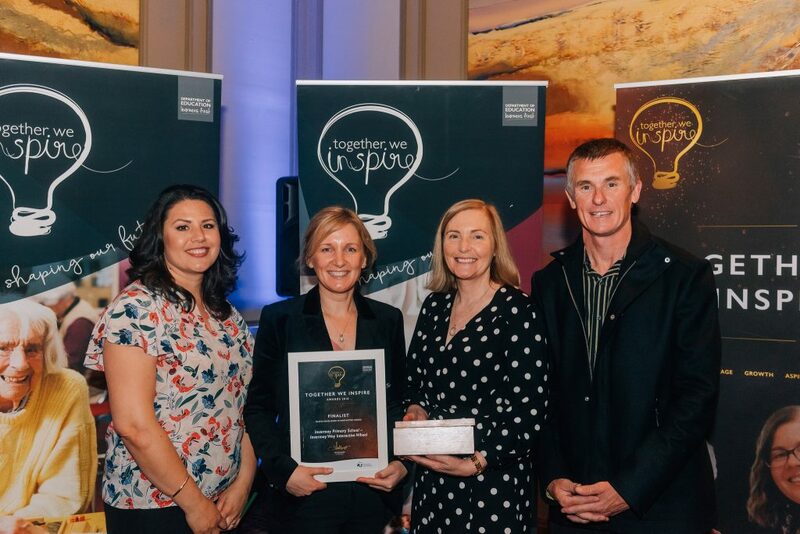 The Together We Inspire Awards are an opportunity for Tasmanians to acknowledge the dedicated staff and volunteers in Government schools who have worked to support all learners to succeed as connected, resilient, creative and curious thinkers. The awards celebrate the Department of Education’s values of Respect, Aspiration, Growth and Courage by recognising those who best exemplify our values through the work they have undertaken over the previous 12 months. Now in its eighth year, the Awards program recognises our very best public educators and those who provide essential education services in Child and Family Centres, schools, colleges, libraries and business units. The twelve award categories, plus the overall Tasplan Together We Inspire Award, are based on the Department’s goals and values and recognise the skills of individuals and teams across the entire Education portfolio. Finalists in all award categories will be invited to a state-wide awards ceremony in September where award winners will be announced. An initiative of the Department, the Together we Inspire Awards would not be possible without the generous support of major sponsor, Tasplan as well as partners Teacher’s Health and Telstra. Nominations for the Awards are now open and close on Friday 12 April 2019.